Thank you for your interest in the ASMS Basic Maxillofacial Principles and Techniques Course. We are proud to be part of this dynamic educational program jointly sponsored by the American Society of Maxillofacial Surgeons, and the Maxillofacial Surgeons Foundation. This course is appropriate for all practicing plastic surgeons, residents and other physicians interested in a greater understanding of basic maxillofacial principles and techniques. Discuss the anatomy of the head and neck area, especially as related to dental aspects of the oral cavity. Take impressions, construct and mount dental models and make acrylic splints. 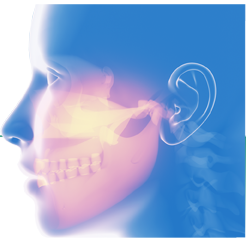 Implement current concepts in diagnosis and treatment of facial fractures. Incorporate cephalometric prediction tracings and application of orthognathic principles and techniques to diagnose and treat congenital and post-traumatic deformities in their practices. Incorporate use of bone cutting equipment and rigid fixation in maxillofacial surgery in their practices.